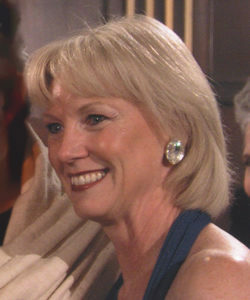 Soprano Jayne West has performed with many leading orchestras in the United States, including the Philadelphia Orchestra, National Symphony, Detroit Symphony, Orchestra of St. Luke, St. Paul Chamber Orchestra and the Boston Symphony Orchestra (at Symphony Hall, Carnegie Hall, Kennedy Center, Tanglewood Main Stage and Seiji Ozawa Hall). She has sung under notable conductors Seiji Ozawa, Bernard Haitink, Trevor Pinnock, Neeme Järvi, Roberto Abbado, Jesus Lopez-Cobos, Christopher Hogwood, Jane Glover, Grant Llewellyn and Keith Lockhart. She has performed at the Edinburgh Festival, Tanglewood Music Festival, Grant Park Series, Saito Kinen Festival, and with the Théâtre Royal de la Monnaie (Brussels, Belgium), Houston Grand Opera, The New Israeli Opera Tel Aviv, Gran Teatre del Liceu (Barcelona, Spain), and Boston Lyric Opera. Ms. West was a past finalist in the Regional Metropolitan Opera National Council Auditions and winner of the Oratorio Society of New York Competition. Ms. West performed for many years with Emmanuel Music in Boston, notably in their Chamber Series and in Schubert’s Mass in E-Flat, Bach’s B Minor Mass, Handel’s Hercules, Saul, Jephtha, Brockes Passion and Ariodante, Mozart’s The Magic Flute and Haydn’s Creation. She is heard on several of Emmanuel Music’s recordings, including Bach’s St. John Passion, Schütz Motets, and on Lorraine at Emmanuel in duet with the late Lorraine Hunt Lieberson. Ms. West sang the role of Countess Almaviva in Peter Sellars’ production of Le Nozze di Figaro in New York, Boston, Barcelona, Paris, and Vienna where it was filmed. This performance was broadcast for Great Performances and subsequently released on DVD. Ms. West premiered Mark Morris Dance Group’s productions of L’Allegro, il moderato ed il pensiero and Dido and Aeneas, “Stephen Foster Songs” and Virgil Thompson’s Four Saints in Three Acts. Ms. West has recorded for MusicMasters, Decca/Argo, London Records, Newport Classics, Koch, and Hyperion. She is on the faculty of Longy School of Music of Bard College, New England Conservatory School of Continuing Studies, and is the Community Connections Coordinator for Emmanuel Music. PLEASE NOTE: Ms. West will be teaching during the Two Week Program, July 22-August 5. During that time, vocal participants will receive 6 private voice lessons as well as chamber music coaching. Depending on the interests and availability of the participants, voice students will be assigned vocal chamber music which will include vocal duets, trios, quartets and/or chamber music with various instrumentalists. Additional private voice lessons will be available for an additional fee as time allows. Please contact Ms. West directly with any questions: Email: jayne.west@verizon.net or WeChat ID: JayneWest.